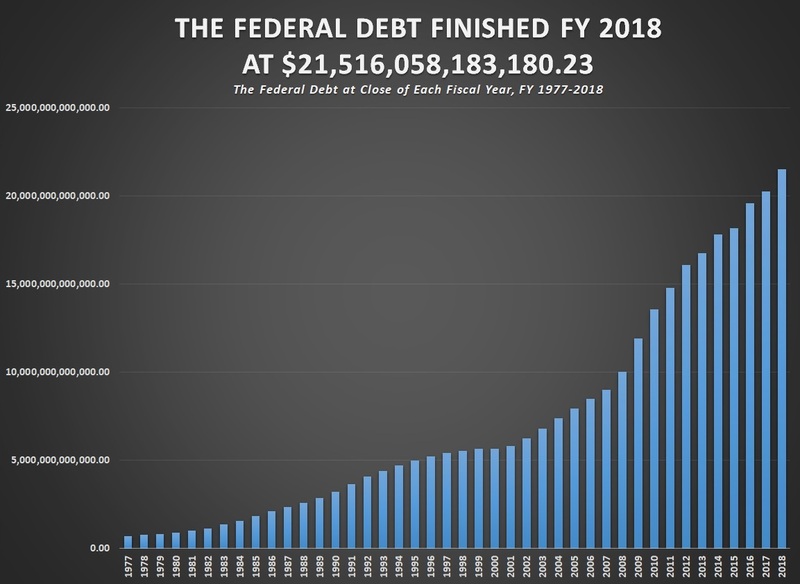 (CNSNews.com) - The federal debt increased by $1,271,158,167,126.72 in fiscal 2018, according to data released today by the Treasury. The $1,271,158,167,126.72 in debt accumulated in fiscal 2018 made fiscal 2018 the eighth fiscal year in the last eleven in which the debt increased by at least one trillion dollars. 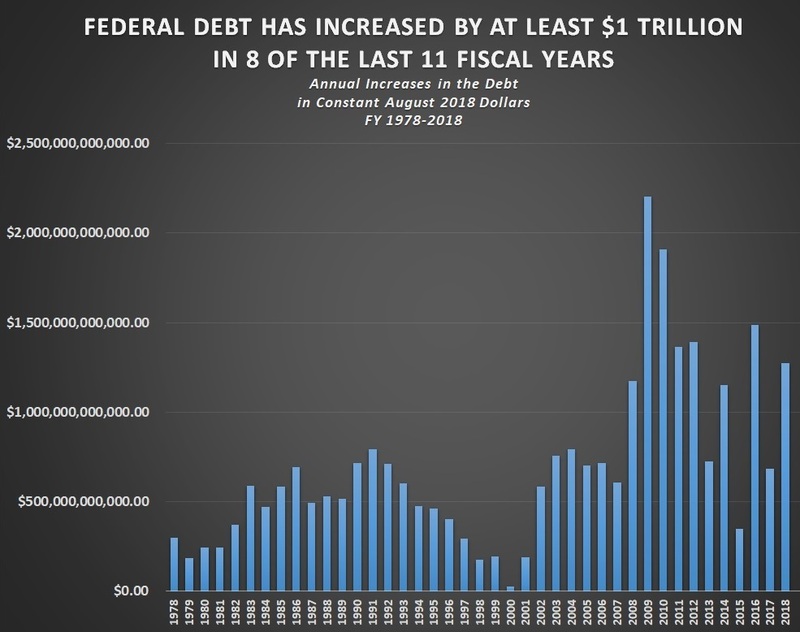 The $1,271,158,167,126.72 increase in the federal debt was also the sixth largest fiscal-year debt increase in the history of the United States. The United States saw its greatest fiscal-year increase in the federal debt in fiscal 2009, which began on Oct. 1, 2008 and ended on Sept. 30, 2009. That year the debt increased by $1,885,104,106,599.26 in 2009 dollars--or approximately $2,200,878,170,000.00 in constant August 2018 dollars (adjusted using the Bureau of Labor Statistics inflation calculator). According to the Bureau of Labor Statistics, there were 155,542,000 people with jobs in the United States in August. That means that the $21,516,058,183,180.23 in federal debt at the end of fiscal 2018 equaled approximately $138,330 for every person in this country who works. The $1,271,158,167,126.72 increase in the debt in fiscal 2018 alone equaled approximately $8,172 per worker.